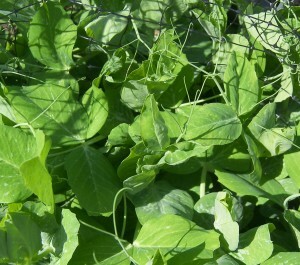 Click here to read all my posts regarding this variety of pea. 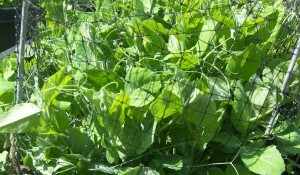 These peas have been growing good lately. The rain and cool nights have been a gift to these peas. Tendrils are shooting out everywhere. Since the plants are so close together they are even using each other to reach for the sky. If things go right I should be seeing flowers forming in the next 2 weeks.